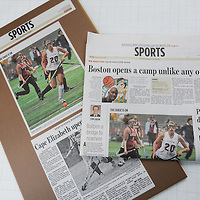 A multiple mount is more than one print on the same plaque board (such as a newspaper headline and photo). We can do that, but unfortunately, the order cannot be process on this website. Please visit your local dealer for assistance or, if you are not located near a dealer, email us at info@artiplaq.com with details for a price quote, then ship us your job with a completed work order form and include a rough layout sketch. To estimate the price, add the width plus length of the FINISHED SIZE, (being sure to include the inches you add on each side for the margins), then refer to the retail price list. There is an additional charge of $2 for each additional print (after the first one on the same plaq). There is also an additional charge for the multiple mount paper. 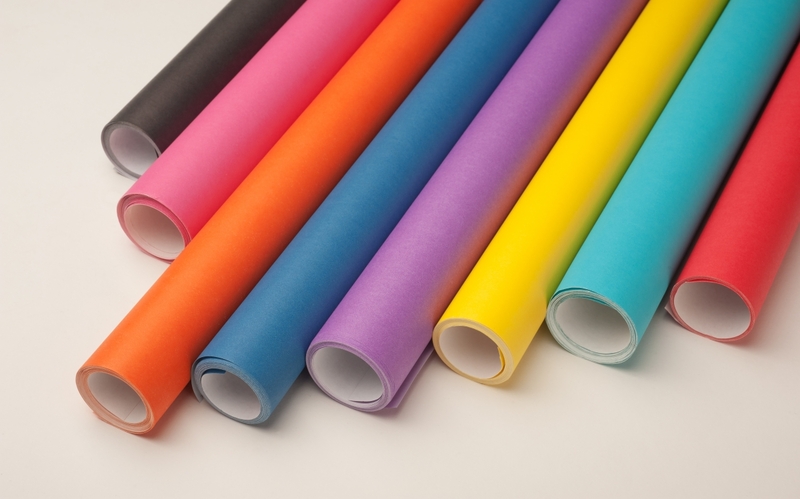 Multiply the united inches (width + length) by .25 cents for the multiple mount paper. If this is confusing to you-- look at the photo to the right. The headline "Sports" is the first piece on the same board. Since there are 2 additional pieces on the same board, you would add $4. and add the cost for the paper as explained above. Shipping is additional. Not pictured: (Brite Blue) It a vibrant light blue. See multiple mount photo, bottom of this page. Not pictured: (Brown) See multiple mount photo on shelf, below. 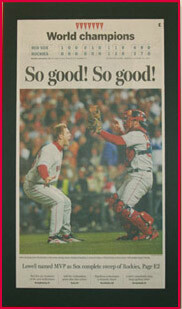 Here's what we did when the RedSox won the World Series-- We plaq mounted the entire sports page on black paper and left a 1.5" border around the perimeter (to give it a matt effect) and then we finished the edges in red. These are ARTiPLAQ™ multiple mounts of magazine covers and articles. Already have your photo printed? 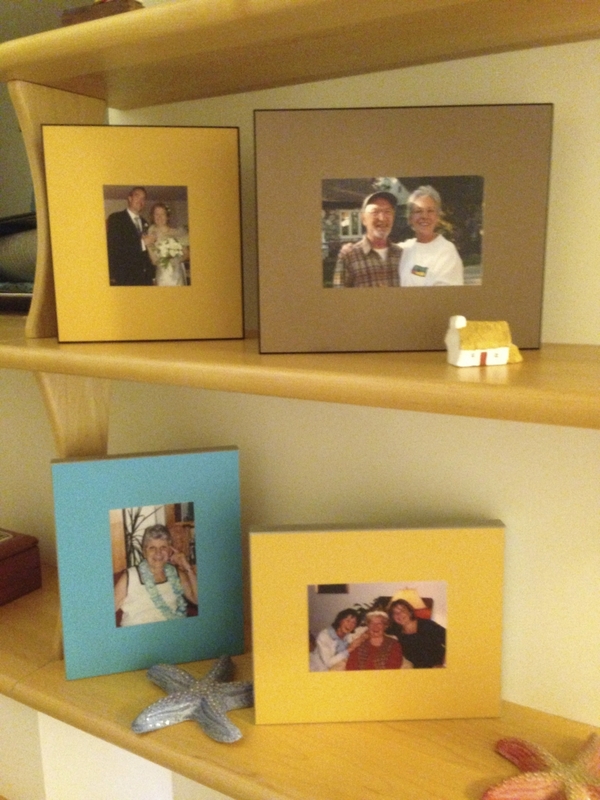 Each of these plaqs has one 4"x6" photo that we mounted on colored paper to give it the effect of a wide matt border. This ARTiPLAQ™ mounted newpaper masthead and newspaper photo includes the caption. The news print sections were mounted on our "Brite Blue" fadeless, acid free paper and plaq mounted. Remember, when you send us, newsprint, please let us trim.